This will be a dumping ground for random non-metal live events that don't really warrant a thread (or you don't feel like making a thread for it). In other words, anything I find interesting that pops-up on my twitter feed may get put here. Threads could be made for such events if there's a demand for it though. Pictures/videos from past (recent) concerts can go there too. You can also use their appropriate band thread too. FullMooN I already know and like. Black Out = HERe:NE with a different vocalist. Market Shop Store is another new girlband (some previous members I recognize from some earlier ones). There was one introductory clip on youtube and they may have some potential, we shall see. I see Ryokushaka is already able to pull off one-mans. Nice to see they're finally getting featured on this. Mind you, they could've been featured on previous editions, but I didn't know who they were until recently. 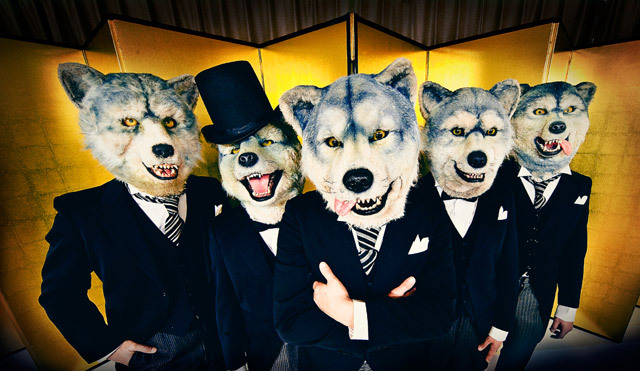 MAN WITH A MISSION will be joining us for Otakuthon 2017! We are super excited to welcome them to Montreal! This is a powerhouse band! The live is going to be amazing! Don't miss out on this guys! e:cho and Omoime Gurasu on the same bill, that's...random. I guess this was a series of concerts, why did I think it was a string of singles? I hope this does lead up to a full-length release though.